We create innovative pieces to maximise storage space to your design. We offer a wide range of wardrobes from sliding or mirrored door designs to basic fitted wardrobes to suit every need. We can assist with anything from changing worktops to a complete installation. We offer a supply and fit service for all doors, frames and ironmongery. We can assist you with all of your joinery needs. We can offer a range of shelving options from made to measure floating shelves to basic office filing systems. We can supply and fit new stairs and carry out stair refurbishments including spindles, newel posts and handrails. We offer services to lay all types of hardwood, laminate and engineered flooring. We can offer a service to supply and fit made to measure windows or one off sash windows as required. We can supply and fit decking to your garden design. We specialise in hand-cut roofs. We can take on full home internal renovation projects. 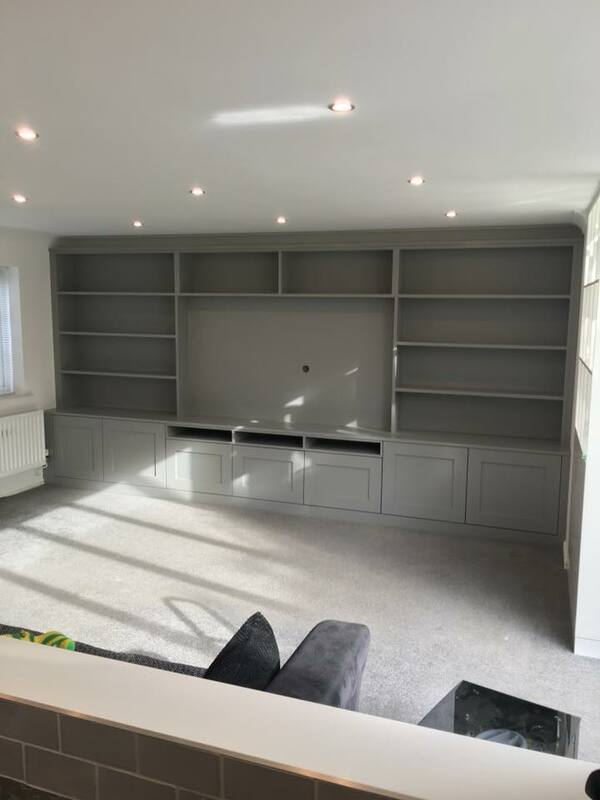 We offer a full painting and decorating service.